For the first time, the full story of a crime that has haunted New England since 1873. The cold-blooded ax murder of two innocent Norwegian women at their island home off the coast of New Hampshire has gripped the region since 1873, beguiling tourists, inspiring artists, and fueling conspiracy theorists. The killer, a handsome Prussian fisherman down on his luck, was quickly captured, convicted in a widely publicized trial, and hanged in an unforgettable gallows spectacle. But he never confessed and, while in prison, gained a circle of admirers whose blind faith in his innocence still casts a shadow of doubt. A fictionalized bestselling novel and a Hollywood film have further clouded the truth. 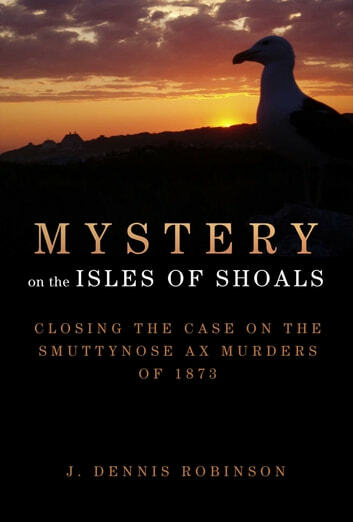 Finally a definitive "whydunnit" account of the Smuttynose Island ax murders has arrived. Popular historian J. Dennis Robinson fleshes out the facts surrounding this tragic robbery gone wrong in a captivating true crime page-turner. 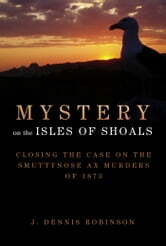 Robinson delves into the backstory at the rocky Isles of Shoals as an isolated centuries-old fishing village was being destroyed by a modern luxury hotel. He explores the neighboring island of Appledore where Victorian poet Celia Thaxter entertained the elite artists and writers of Boston. It was Thaxter's powerful essay about the murders in the Atlantic Monthly that shocked the American public. Robinson goes beyond the headlines of the burgeoning yellow press to explore the deeper lessons about American crime, justice, economics, and hero worship. Ten years before the Lizzie Borden ax murder trial and the fictional Sherlock Holmes, Americans met a sociopath named Louis Wagner-and many came to love him.